The leaders of 1st Downham Market Brownies were awarded £125 from the Norfolk’s American Connections project to create a brand new ‘Norfolk’s American Connections’ Brownie Badge. The badge is designed to help Brownies, and members of other children’s groups, learn about some of the fascinating historical links between Norfolk and North America. We have provided a template (below) that explains the activities the Brownies had to each week in order to be awarded the badge so you can run this programme with your Brownie pack, or other children’s group. You may feel that some of the activities are not suitable for your group (for example, some are age-dependent), or are unfeasible because of costs involved. We would encourage you to use the template we have provided in a flexible manner, and substitute activities that are unfeasible for your own. You can use the Norfolk’s American Connections website for inspiration about some of the historical links you might learn about with the children in your group. 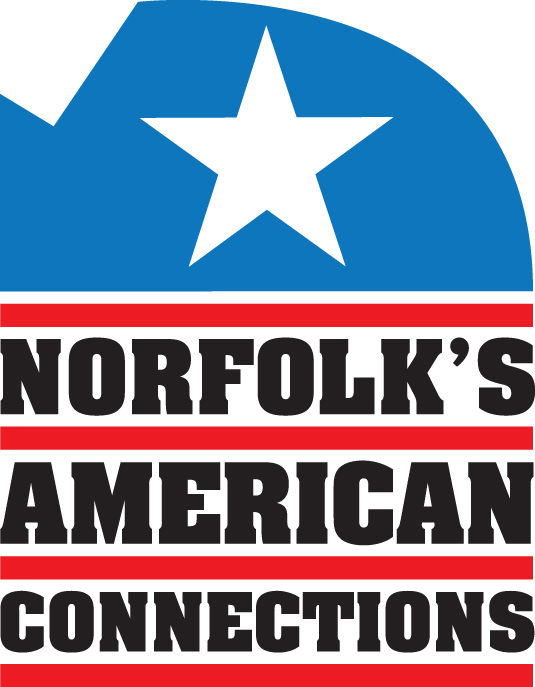 The badge itself, which was created by local badge makers, featured the Norfolk’s American Connections logo. We have provided an image of the logo below should you wish to get your own badges designed. To save the logo to your computer, right click, and click ‘save as’. Week 1: Pocahontas, John Smith and John Rolfe – The Brownies learnt about Pocahontas, John Smith and John Rolfe, and made dreamcatchers using the template provided on this page. Week 2: Edward and Samuel Fuller, and the Mayflower – The Brownies tasted American food, such as jerky, oranges and lemons, then were all given a map of an island – they had to give the island a name, decide where on the island they would live, design a map of their own, and come up with rules about how to govern the island. Week 3: Abraham Lincoln – The Brownies learnt about Abraham Lincoln and his abolishment of slavery, then wrote their own proclamation speeches for their island from week 2. The proclamation activity is available to download on this page. Week 4: The USAAF in East Anglia – The Brownies were provided with maps of Norfolk, and had to draw or colour-in an American flag and place it over an airfield in the county that had been operational during World War Two. Week 5: Visit from the Royal British Legion – Members of the Royal British Legion visited the Brownies and talked about World War Two and the significance of the poppy. Week 6: Visit to RAF Lakenheath – The Brownies experienced a modern-day USAAF base. Week 7: Making poppies to go on a wreath for the Remembrance Day parade – The Brownies made poppies, and took part in the annual Remembrance Day parade. At the end of the parade, they laid a wreath at the war memorial in Downham Market. Week 8: Party Week – The Brownies hosted a Thanksgiving Party. They discussed the beginnings of Thanksgiving, and all said something that they are thankful for. Week 9: Lindy Hop – Teachers from a Lindy Hop school taught the Brownies the rudiments of this popular dance.